Cryptocurrency and blockchain technology promised betterment and advancement in financial technology but adoption has been slowed. Cryptocurrency project, Infireum made a breakthrough that could see on-boarding of 500,000 shoppers soon. 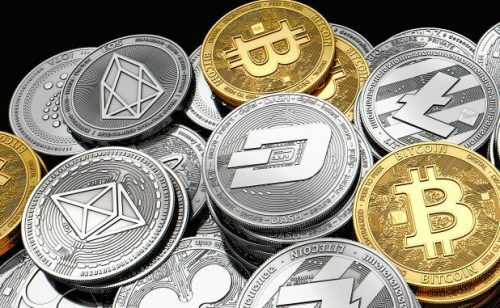 Most of us have heard of the many promises of bitcoin and different cryptocurrencies, and how they are great advancements for financial technology but their real-world usage is still a rare sight. The steep learning curve puts off many from even trying, especially so since this risks their monetary assets. Cryptocurrency project, Infireum targets this problem by literally taking the bull by its horns and is edging in on meaningful adoption. Started by a team of developers with vast and real business experiences, Infireum began work on the project without the usual crowdfunding or commonly known in the industry as “Initial Coin Offering” but was instead internally funded. They released a working wallet prototype in Q3 2018 and it was tested on multiple occasions, each with hundreds of participants. These tests provided the team with feedback that allowed them to greatly improve the usability and intuitiveness of their wallet that focused on ease of use while not sacrificing the security and speed of the transactions. Armed with this version 2 wallet, the Infireum team swiftly began negotiating with different organizations and groups that required secure and fast value transfers. An important breakthrough was made after a mutually beneficial partnership was struck between Infireum and up-and-coming Asian-based e-commerce platform, V-More. While most cryptocurrency projects struggled with even a small number of real users, Infireum through this partnership is preparing to welcome as many as 500,000 V-More shoppers. This is a strong start for Infireum and blockchain technology and definitely a big leap for the future of money.